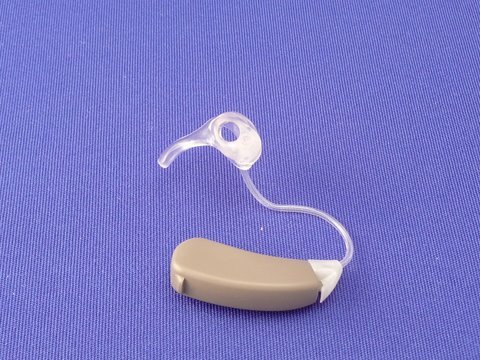 Open fit hearing aids are currently gaining more and more acceptance with the general public; the nearly invisible, feather-light instruments are so unobtrusive that clients may forget they’re even there. In many cases, the stock domes can be used to fit these devices, but as more of them are sold, there will be a corresponding increase in cases where the domes are unsuitable. A custom earmold can be the solution to a multitude of problems; fixing concerns where the hearing loss is right at the limit of the instrument’s range, or where the ears may have narrow canals or sharp bends, resulting in poor retention. As technology has advanced, open fit devices have become more powerful; some devices now available can be comfortably used by patients with severe losses. 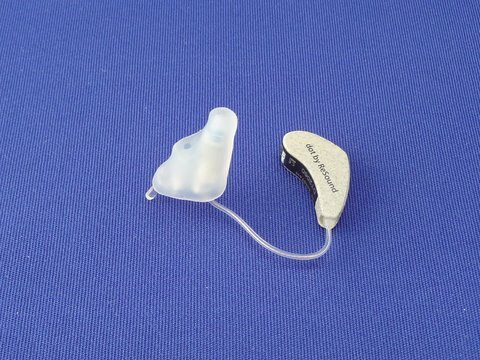 Therefore, anyone dealing with hearing devices should be aware of all possibilities for satisfying their client. At Emsee labs, we have developed a full series of open earmold styles, in order to assist Hearing Instrument Specialists and Audiologists to address a wide range of concerns with difficult open fit situations. Our products are intended to minimize the amount of occlusion normally caused by a conventional earmold or I.T.E. fitting, while maximizing the comfort of a custom made mold. By opening the ear canal, we are also allowing the outer ear to perform its normal function; allowing sounds to resonate and amplify as nature intended. All of the open fittings listed below can be made in any style up to full shell, however we will usually default to Semi-Canal style for discretion. All of the options below have an optional vinyl handle available, to assist with removal of the mold. In addition to the styles shown below, we also have a comprehensive line of Non-Occluding Styles which are more commonly used with conventional BTEs, but are also of great use to dispensers to meet their clients' needs. The ideal solution for open fit devices is the “Hollow Canal XO”, since the design of this mold leaves the entire canal open; resulting in a clear sound being delivered to the eardrum, with minimal disturbance to the ear canal. This style has even less occlusion than the domes that come supplied with the aid, for the fullest, clearest sound possible. Please ensure that the order form clearly states whether the mold will be used with a #13 tube, a slim-tube, or a Receiver-In-Canal device. For RIC fittings, the receiver unit or a dummy casing must be sent with the order to ensure a proper fit. For cases where a completely open mold would be unsuitable for the patient’s loss, the “Hollow Canal Special"is an ideal choice to prevent feedback, while still maintaining the same high level of discretion that wouldn’t be possible with a normal behind-the-ear style mold. The Hollow Canal Special, like the XO, has a hollowed out canal, but with a few millimetres of the tip occluded. Using a controlled vent size, feedback is prevented, and by expanding the vent gradually, the specialist can control the fitting, balancing venting and gain until the best possible result is achieved for the patient. Colour-coding of the tips, blue and red, is available by special request. 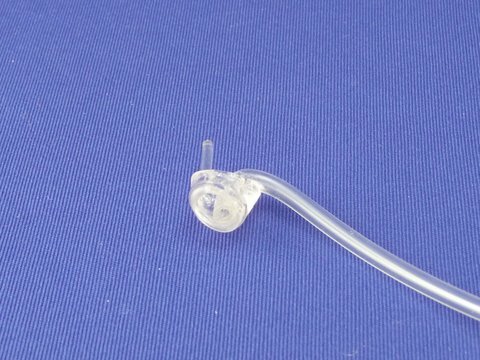 As with the XO, please make sure the type of tubing to be used is shown on the form. RIC units are not possible in this style. Some open-fit instruments now have the receiver in the ear canal itself. The preferred method for this is still the XO style mold, however, due to the larger size of the receivers, this is sometimes unsuitable because it requires large ear canals in order to be fit properly. In some cases, using an XO style mold requires permanently gluing the receiver to the mold; resulting in a greater expense in case of damage to either part. To address these concerns, we have developed a “Soft-Tip Receiver-In-Canal” style mold. The mold is made of translucent silicone, with an available shiny finish that makes the mold as clear as glass. The soft tip mold is bored precisely to hold the receiver in place with friction, meaning that it will hold firm for everyday use, but if ever the receiver needed to be exchanged, it can easily be removed and replaced in your office. To prevent occlusion, an Iros style vent can be ordered, that equals or exceeds the stock domes in performance. For the Receiver-In-Canal style, the specific model of receiver to be fit must be sent in to the lab in order to ensure a proper fit. We are proud to be chosen by many major manufacturers to be their supplier of choice for custom made open-fit molds, which couple with their individual product lines.